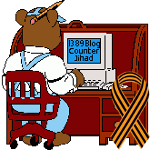 advertising — 1389 Blog - Counterjihad! The Conservative Leadership Conference – Don’t Miss This One! New Web 2.0 Marketplace, Free for 48 Hours!